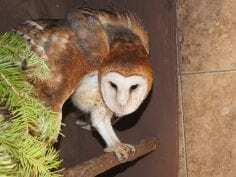 A recent increase of owl patients at the BC SPCA’s Wild Animal Rehabilitation Centre (Wild ARC) on Vancouver Island showcases how dangerous this time of year can be for nocturnal wildlife. This is a very risky time for owls who like to hunt in low light. Wild ARC has seen an increase in owl patients, and more are sure to come as the daylight hours continue to dwindle. 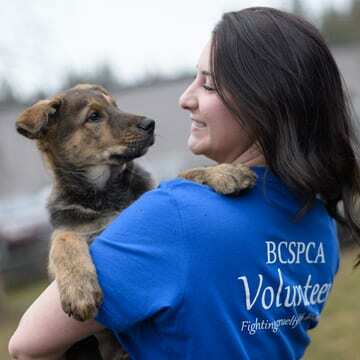 “As the days get shorter and people commute to and from work in the dark, nocturnal animals like owls are also active at these times, hunting near roadsides for small rodents like mice and shrews,” says BC SPCA chief scientific officer Dr. Sara Dubois. It’s an effect that Wild ARC sees year-over-year. 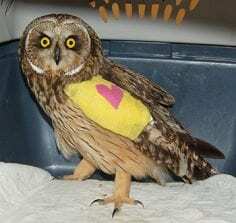 In 2016, this short-eared owl, a rare patient at Wild ARC, was found by the side of Metchosin Road with a severely broken wing, after being hit by a vehicle. The owls in care may need surgery to pin and stabilize broken bones, and are often in Wild ARC’s care for several weeks as they heal and recover. Care for a broken wing includes medication for pain, to prevent infection and to promote healing, specialized staff care including hand-feeding and therapies to help rehabilitate the wing, and flight testing before release. If all goes well, the owls will be returned to the wild when they are fully recovered. Owls are often drawn to roads because their prey is there to eat litter thrown out of cars. You can keep also help by disposing of your trash, recyclables and compost at home or in an appropriate receptacle.